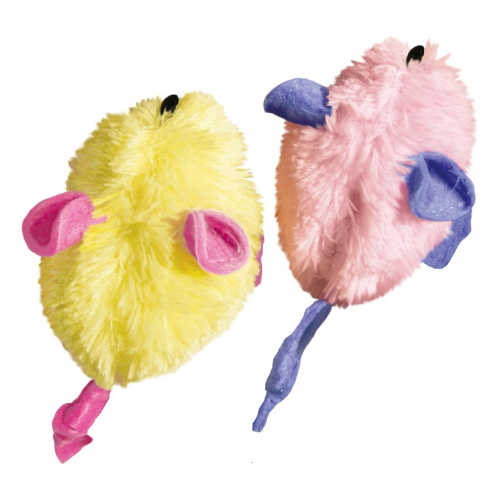 The Kitten Mice by KONG are soft toy mice specifically designed for young cats. Available in various cheerful colours. The soft toy mice by KONG are designed to amuse young cats and to keep them busy. Ideal for the encouragement of instinctive needs in growing kittens, such as stalking, hunting and catching prey. Available in various colours (pink, blue, green or yellow), with two mice per pack. Please note: This product is selected at random. You cannot select the colour. You will receive two cheerfully coloured mice. Have you used KONG Cat & Kitten - Mice before? Let us know what you think about this product.